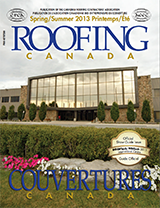 Roofing Canada Magazine is Canada’s only professional publication focused on the roofing industry. 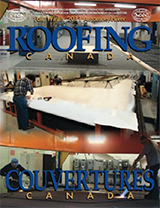 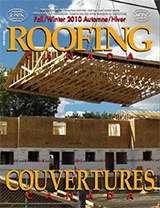 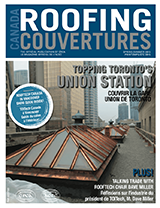 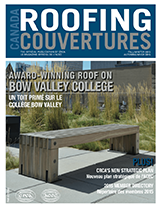 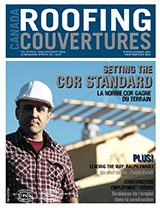 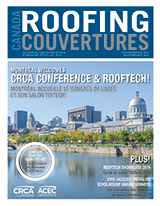 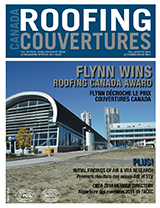 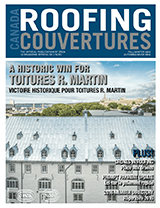 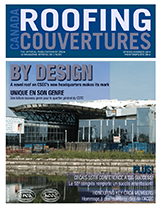 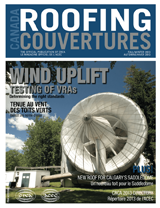 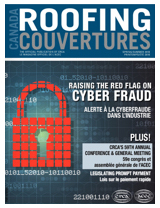 CRCA publishes Roofing Canada twice per year, to a bilingual subscriber base of more than 6,000. 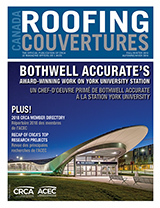 In addition, subscribers receive industry updates by email every two weeks, through CRCA’s ENews. 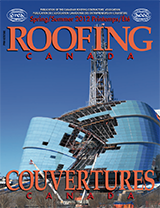 You can count on Roofing Canada Magazine for background on industry issues, technical information, trends, and topics of general interest to the roofing industry. 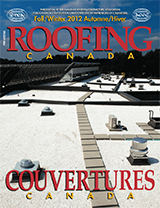 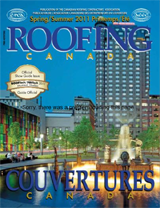 To contact Roofing Canada Magazine or to advertise in the magazine, please email: crca@roofingcanada.com. 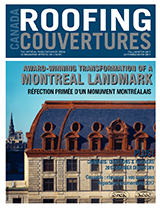 This edition includes articles on Toitures Trois Étoiles, recipient of CRCA’s 2017 Roofing Canada Award for their work on the historic Windsor Hotel in Montreal, NRC’s project on Climate Resilient Buildings, an update on legalization of recreational marijuana and CRCA’s membership directory. 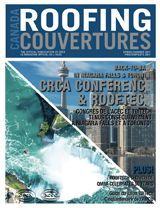 LTTR Controversy Continues | CRCA Conference Highlights | Member Profiles | Is Your Organization in Compliance with the CRCTC’s Unsolicited Telecommunications Rules?